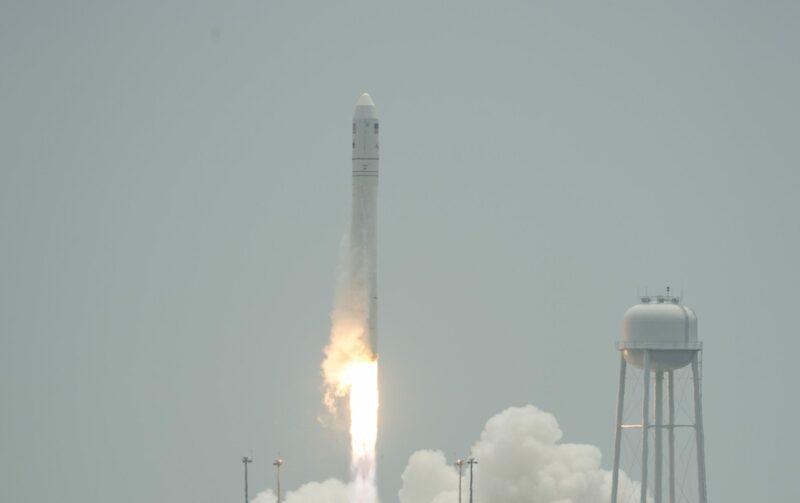 [Via Satellite 07-14-2014] On Sunday July 13, 2014 Orbital Sciences completed the second resupply mission for the International Space Station as part of the company’s $1.9-billion Commercial Resupply Services (CRS) contract with NASA. Orbital’s Antares rocket lofted the Cygnus cargo spacecraft, which is expected to berth with the ISS on July 16. Besides carrying 1493.8 kg (3293 pounds) of supplies to the ISS crew, Cygnus will deliver 28 CubeSats known as Doves for satellite imagery company Planet Labs. The first Orbital resupply mission, Orb 1, carried Flock 1, which was also comprised of 28 CubeSats. The second group is known as Flock 1b. The Orb 2 mission is also carrying TechEdSat 4, which is part of a larger study to return small payloads in a temperature- and pressure-controlled environment from the space station. Additionally, 15 student experiments will be brought to the ISS with the support of NanoRacks to study a variety of subjects, including the effect of microgravity on oxidation, and the production of penicillin in space.